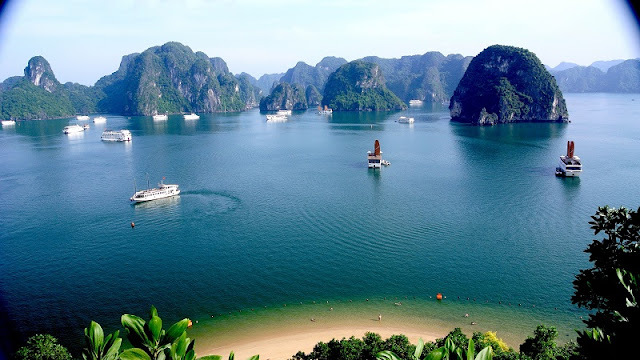 Ha Long Bay, Quang Ninh province has been named among cheap holiday destinations nearby where Singaporeans can go, according to a list released by AsiaOne, a leading digital content site that gives readers a fresh perspective on news that matter to our readers. AsiaOne advises travelers that just keep in mind that even though the Vietnam dong is the national currency, you should bring along at least US$200 (S$271.30) in smaller denominations just in case. And make sure you sharpen your bargaining skills before you go. Visiting Ha Long Bay without taking a cruise and taking in the scenery is like buying a ticket to Universal Studios Singapore and not getting on the rides - it's why you go. “Aside from taking a cruise, you can also go kayaking, scuba diving, rock climbing, or visit the local casino,” AsiaOne wrote. Depending on when you fly, expect ticket prices to be about US$250 to US$300 per person. But you'll also need to take a bus or a taxi to Ha Long Bay. It can be a bit complex to get there, but following these directions helps.